President Donald Trump’s sometimes turbulent relationship with his now-former Attorney General Jeff Sessions drew the attention of the country, but how unusual was it really? As the head of the Department of Justice, the AG is tasked with ensuring appropriate administration of justice, but, as a political appointee removable at will by the President, the AG is also intrinsically tied with the politics of the administration. Throughout the last six administrations, different AGs have reacted in various ways to the tensions created by these two roles–each earning their own moniker: The Foxtrotter. The Wingman. The Co-Conspirator. The Company Man. The Stand-Up Lady. The Witness. The Wallflower. Justice Neil Gorsuch’s Supreme Court confirmation process exacerbated the striking divisiveness, rampant partisanship, and stunning paybacks that have systematically plagued the federal judicial selection process. The Senate basically ended any true debate when the Republican majority peremptorily detonated the “nuclear option” for Supreme Court nominees. This measure limited filibusters regarding all judicial nominees, allowing a simple majority ballot to confirm a nominee. 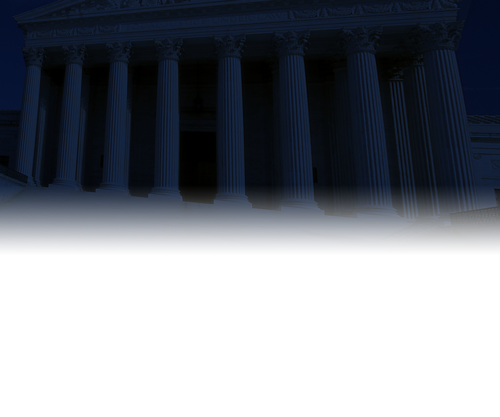 One century-long practice that does remain is the “blue slip.” Under Senate tradition, whenever the President submits a federal district or appeals court nominee, the Judiciary Committee Chair sends a blue slip of paper to each senator who represents the state in which the nominee will sit, and those senators can delay the nomination by refusing to return the slip. However, recent changes in the blue slip practice by Senate Judiciary Committee Chair Senator Chuck Grassley (R-IA), powerful support for Grassley’s perspectives regarding slips from many Republican senators, and new threats by other GOP members to abrogate or change blue slips merit scrutiny. Elimination or alteration could jeopardize the Senate’s discharge of its constitutional responsibility to advise and consent on presidential nominees and undermine the institution itself. Many young undocumented immigrants brought to the United States as children, affectionately known as “Dreamers,” enjoy substantial protection from deportation under the Deferred Action for Childhood Arrivals (DACA) program. President Trump’s administration is attempting to withdraw this protection, purportedly in an effort to promote the rule of law by limiting executive overreach into matters of congressional concern. This Essay argues that the attempted rescission of DACA is not only out of step with broadly held American values, but premised on a flawed vision of the relationship between the legislative and executive branches. Our constitutional tradition wisely grants the President flexibility to make social policy through enforcement discretion, within the broad legal contours drawn by Congress. DACA is a legitimate exercise of that presidential power. We have good news and bad news today. The good news is that we are printing in hard copy the Woodward Report on Freedom of Expression at Yale. The bad news is that we need to reprint the Woodward Report. We are dealing today with interrelated developments at Yale that threaten freedom of expression and the institutions that protect it, including faculty due process rights, sometimes described as academic tenure. Many writers on this subject understandably focus on the fate of students. But it is important to recognize that today’s developments are also redefining the rights of faculty—and the role of faculty in the governance of this University. These are developments that, if not addressed, ultimately threaten Yale’s place among the great universities of the world.